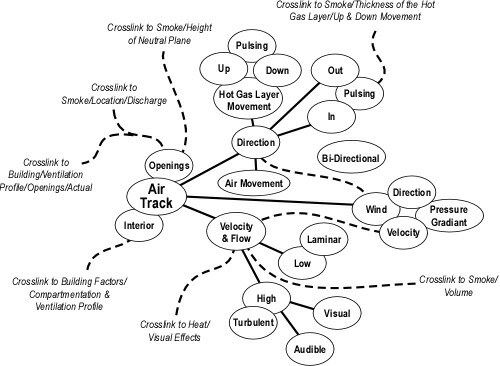 As you develop the flame indicators concept map it is likely that you will uncover potential additions to the Building Factors, Smoke, Air Track or Heat Indicators concept maps. 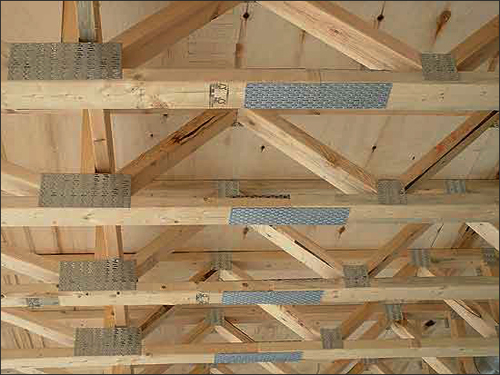 You may also identify interrelationships that you may not have thought of previously. Don’t forget to go back and capture these thoughts by adding them to your other maps or placing them in a staging area for further consideration. Flames get quite a bit of attention. 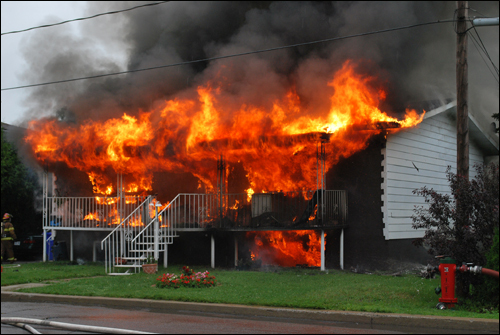 Flames showing are sure to increase a firefighter’s pulse. 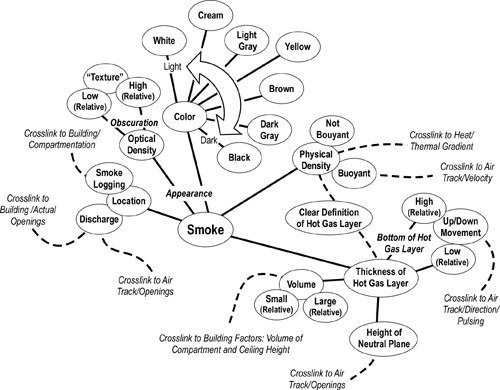 It is important to remember that while flames are an important fire behavior indicator, they provide only part of the picture. There is also a reason why they are last in the B-SAHF organizing scheme. 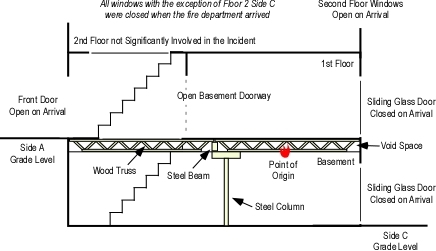 Flame indicators must be integrated with Building, Smoke, Air Track, and Heat indicators to gain a more complete picture of incident conditions. 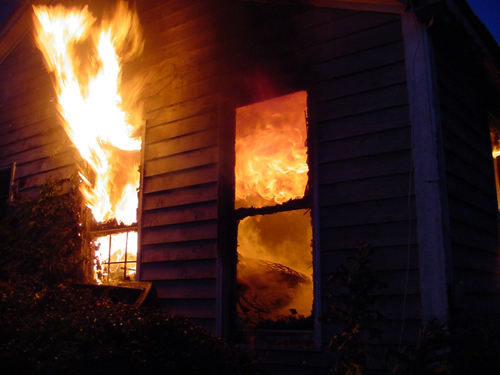 Flames are the visible, light emitting product of combustion. 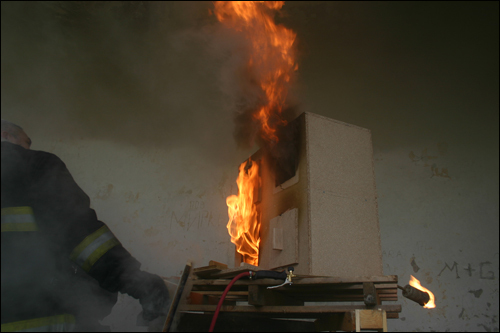 In compartment fires, flames are the result of glowing particulate material (predominantly carbon). 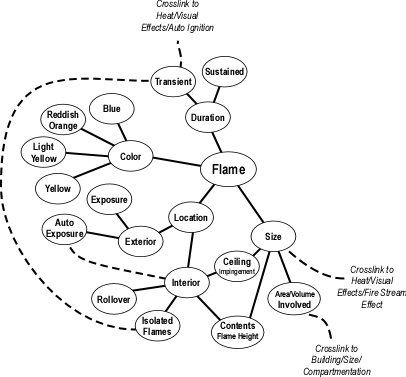 There are several distinctly different types of flames. 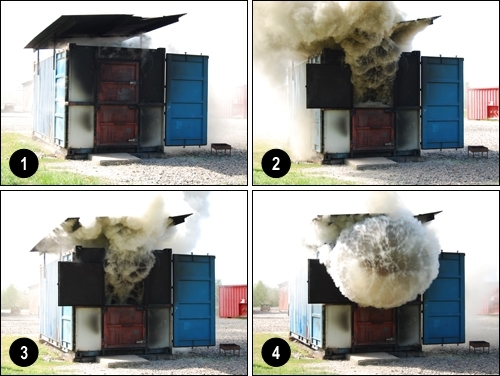 Pre-mixed flames result when fuel vapor is mixed prior to combustion. The flame from a gas stove or heating appliance would be a good example of a pre-mixed flame. 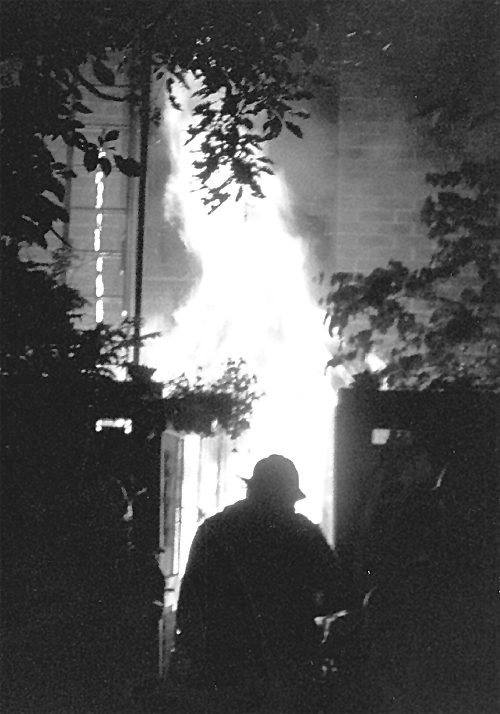 However, most of the flames encountered in a compartment fire are diffusion flames. In a diffusion flame, fuel defuses in the air to form a reaction zone containing fuel, air, and heat in the correct proportion to support combustion. 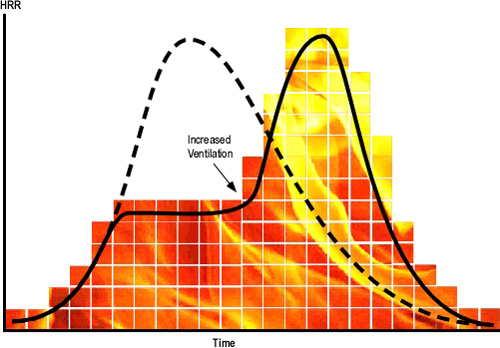 Diffusion flames result from less efficient combustion (resulting in the presence of an increased percentage of unburned particulate material). 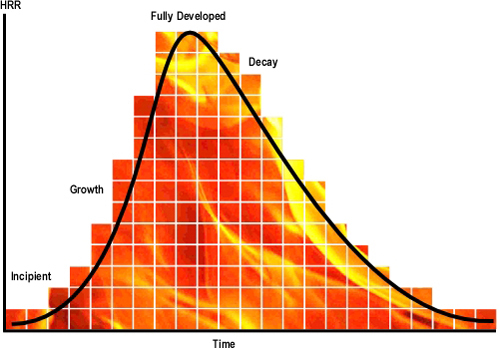 The difference in appearance of pre-mixed and diffusion flames is illustrated in Figure 2. 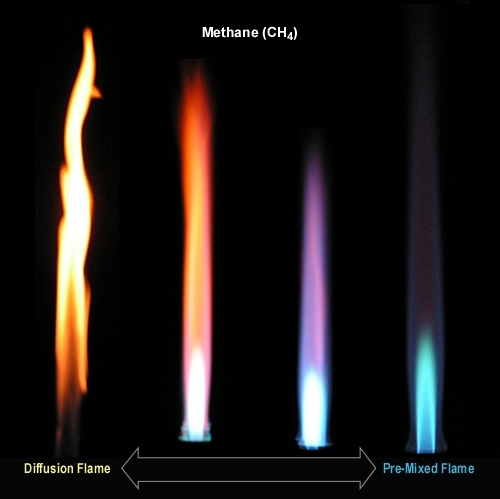 Note: Each of these flames is being produced by the same fuel (Methane, CH4). 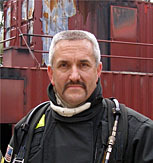 The difference in appearance results from where the fuel and oxygen are mixed and the resulting efficiency of combustion. 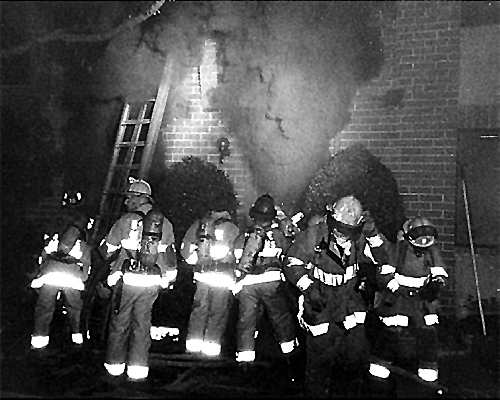 Firefighters’ attention is often drawn to flames like a moth to a candle. 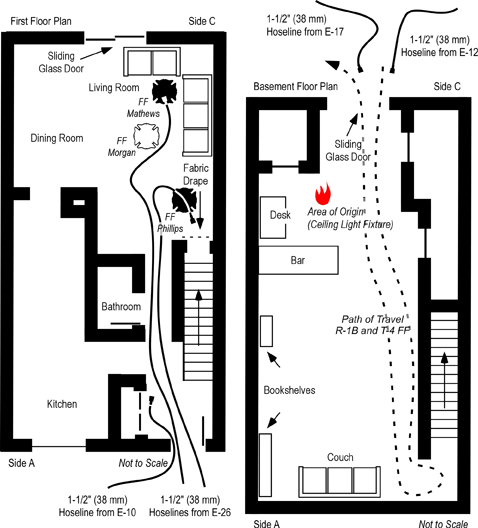 However, this is only one of many fire behavior indicators. 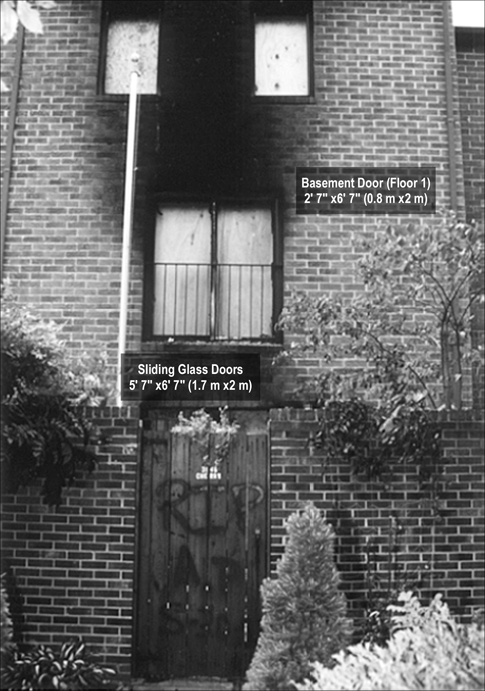 Visible flames may provide an indication of the size of the fire (i.e., fire showing from one window vs. fire showing from all windows on the floor). 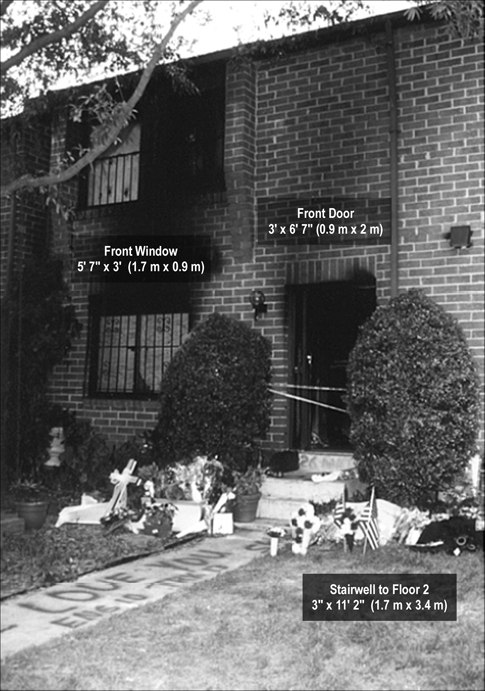 The size or extent of the fire may also be indicated by the effect (or lack of effect) of fire streams on flaming combustion. 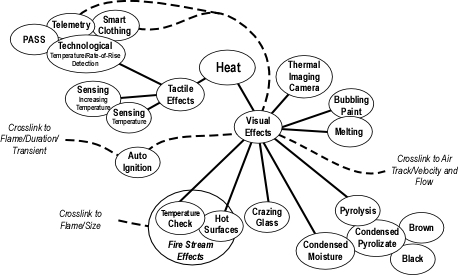 As always in developing a concept map it is important to move from general concepts to those that are more specific. 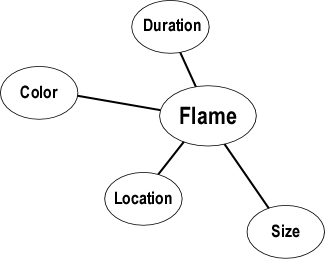 Flame Indicators can be divided into several categories as illustrated in Figure 3. However, you may choose to approach this somewhat differently. Expanding the map requires identification of additional detail for each of the fundamental concepts. 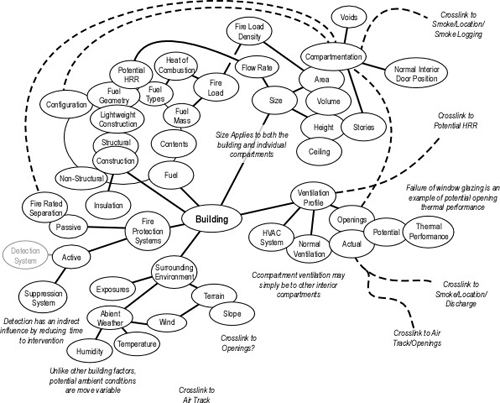 If an idea appears to be obviously related to one of the concepts already on the map, go ahead and add it. 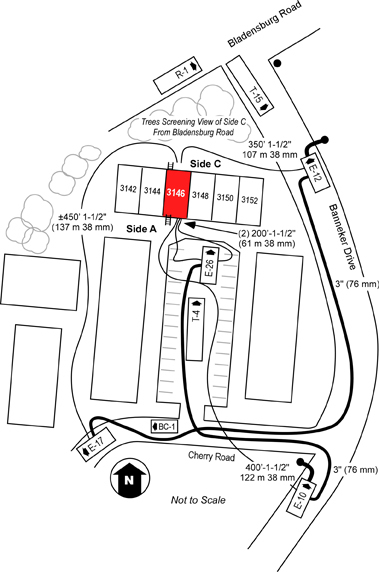 If you are unsure of where it might go, but it seems important, list it off to the side in a staging area for possible additions. 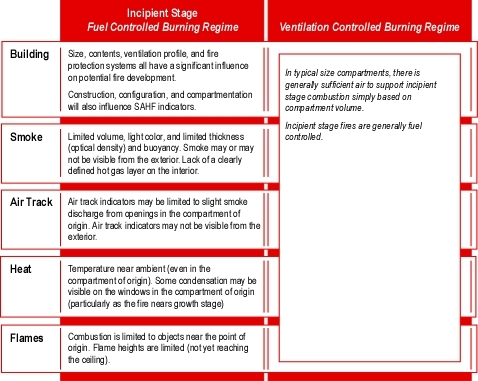 Download a printer friendly version of Flame Indicators to use as a starting point for this process. 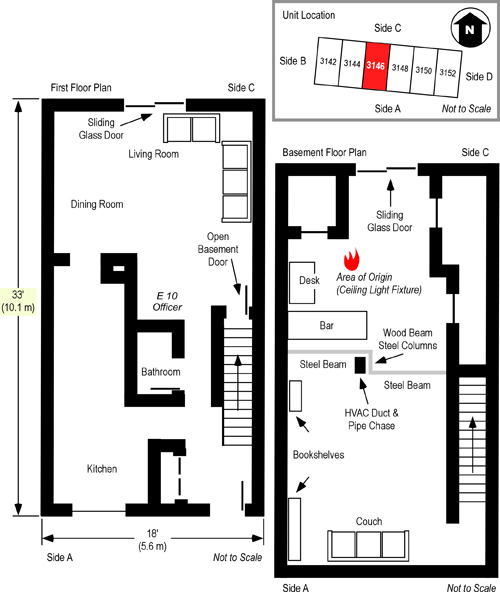 Have a look at the following video clip using your partially completed map and notes as a guide to identifying important flame indicators. 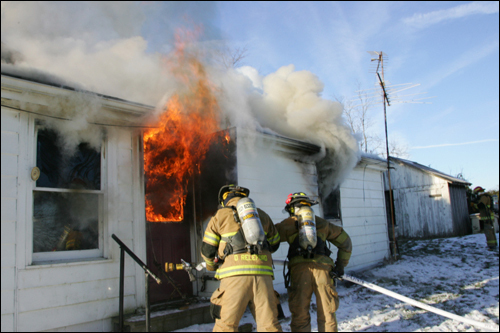 While this video clip is of conditions on the exterior, also think about how this fire would present if viewed from the interior. 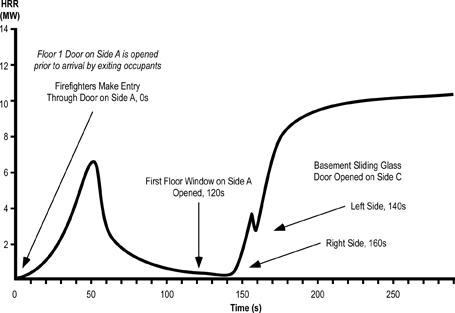 The next post in this series will discuss flame indicators in greater depth.